The objective of this study was to study mental health, coping, and support after work-related adverse events among pediatricians. Physicians are frequently exposed to adverse events. It makes them at risk for posttraumatic stress disorder (PTSD), depression, and anxiety disorders. Besides the personal impact, physicians could pose a threat towards patients, as mental health problems are associated with medical errors. A questionnaire was sent to all members of the Pediatric Association of The Netherlands in October 2016. The questionnaire focused on adverse events, coping, and support. The Hospital Anxiety and Depression Scale and the Trauma Screening Questionnaire were included for evaluation of anxiety, depression, and posttraumatic stress. Four hundred ten questionnaires (18.9%) were eligible for analysis. Seventy-nine % (n = 325) of the respondents experienced adverse events, with “missing a diagnosis” having the most emotional impact and “aggressive behavior” as the most common adverse event. Nine (2.2%) pediatricians scored above the cut-off value on the Trauma Screening Questionnaire, indicative of PTSD. In total, 7.3% (n = 30) and 14.1% (n = 58) scored above the cut-off values in the Hospital Anxiety and Depression Scale, indicative of depression and anxiety. Only 26.3% reported to have a peer support protocol available for emotional support following adverse events. Conclusion: Pediatricians experience a considerable amount of adverse and potentially traumatizing events associated with significantly higher mental health problems compared to the general high-income population. Aggression towards pediatricians seems to be a common problem. Protocolled (peer) support should be implemented. • Physicians are frequently exposed to adverse events. It makes physicians at risk for depression, anxiety, and posttraumatic stress. • Physicians who are affected by these events pose a threat towards patients, as mental health problems are associated with medical errors. • Pediatricians experience a considerable amount of adverse and potentially traumatizing events associated with significantly higher mental health problems. 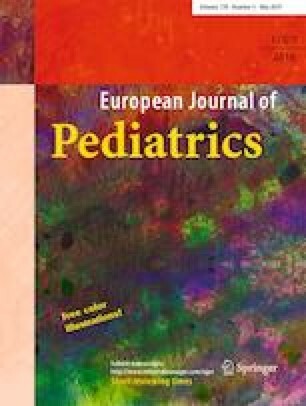 • It is advised that (peer) support after adverse events is protocolled and education on coping strategies is implemented, to improve mental well-being of pediatricians. Physicians are frequently exposed to adverse events, such as medical errors, patient safety incidents, violence, and complaints. Adverse events may lead to mental health problems including posttraumatic stress disorder (PTSD) [1, 2]. Apart from this personal impact, diminished occupational well-being among physicians is linked to decreased professionalism, more medical errors and poorer patient outcomes [3, 4, 5, 6]. The Canadian Medical Education Directives for Specialists 2015 (CanMEDS 2015) specify that physicians should take responsibility for their own health and well-being and that of their colleagues in order to provide optimal patient care . Therefore, it is important to identify which events are risk factors for physicians to develop mental health problems. Furthermore, it is important to know what kind of support is needed to cope with these events. The 1-year prevalence of mood disorders (major depression, bipolar disorder, and dysthymia) among Dutch citizens with a high income is 3.0%, and the 1-year prevalence of anxiety disorders is 6.0% . In physicians, the prevalence of both depression and anxiety disorders can be as high as 29% and 24%, respectively [9, 10]. Also, physicians have an elevated risk of developing PTSD as they are more frequently exposed to adverse events during their career . Pediatricians experience repetitive stress when dealing with sick children and their emotional and desperate parents, which may be extra stressful compared to other specialties . Physicians’ way of coping and their personal resilience might be important in preventing depression, anxiety, and PTSD. Therefore, the aim of this study was to examine work-related stressors and associated mental health problems in pediatricians as well as their ways of coping and received emotional support in their institute. A cross-sectional questionnaire was conducted with members of the Pediatric Association of The Netherlands (NVK). Among the members of the NVK are residents, attending, non-practicing, and retired pediatricians. At the time of the questionnaire, there were 2160 members in total. All members received an invitation from the NVK for an online questionnaire and three reminders over the course of a 3-month period from October 2016. The questionnaire was sent through SurveyMonkey® using an anonymous (non-traceable) link. The questionnaire consisted of 56 questions and contained two validated screening instruments, the Trauma Screening Questionnaire (TSQ) and the Hospital Anxiety and Depression Scale (HADS, Appendix) [13, 14, 15, 16]. The first draft of the questionnaire was reviewed by members of the Childbirth and Psychotrauma Research (CAPTURE) group of the hospital OLVG in Amsterdam, The Netherlands, as well as by MdV. Furthermore, this questionnaire was conducted with gynecologists in 2014 and with orthopedic surgeons in 2016 (accepted for publication) . The questionnaires were kept very similar to make it possible to compare the different specialties. The TSQ is a ten-item screening instrument based on items from the PTSD Symptom Scale-Self Report and has five items concerning re-experiencing and five items concerning arousal. Answers can be “yes” or “no” . The cut-off score indicative of PTSD symptoms is six [14, 15]. Only respondents who answered yes to experiencing a traumatic event at least 4 weeks ago filled out the TSQ. Within 4 weeks after an adverse event, an acute stress reaction might trigger complaints comparable to those found with PTSD. However, if the complaints exist for more than 4 weeks, the complaints are more likely to be due to PTSD. The HADS is a 14-item screening instrument for depression and anxiety, where both subscales contain seven questions each. Each question contains an answer consisting of a four-point Likert scale. The cut-off value of the Dutch version for clinically relevant depressive symptoms (HADS-D) or anxiety symptoms (HADS-A) is equal to or bigger than eight. The total HADS cut-off value for psychological distress is equal to or bigger than 12. Further questions were added to the questionnaire to explore demographics (age, employment, working experience, sub-specialism), assess adverse events at work, way of coping with adverse events and how pediatricians learned to cope, satisfaction with current support, and if and how the current support system should change (Appendix). Statistical analysis was performed with IBM Statistical Package for the Social Sciences (SPSS, version 22). Only completed questionnaires were analyzed. Open questions were categorized by two independent contributors (GY and EJ), the overall inter-rater agreement was calculated with Cohen’s kappa. Demographic data and multiple-choice questions were analyzed using descriptive statistics, and P values were calculated with binomial tests. Differences in categorical outcomes between residents and attending physicians were tested with either chi-square tests (χ2) or Fisher’s exact. In continuous data, independent t or Mann-Whitney U tests were used. A two-sided P value of 0.05 or smaller was considered statistically significant. This study was exempted from ethical approval by the Medical Research Ethics Committees United (MEC-U) and registered under the number W18.096. A total of 456 questionnaires (21.1%) were completed, of which 410 questionnaires (18.9%) were eligible. Figure 1 shows the inclusion diagram. Table 1 shows the baseline characteristics of the respondents, compared with the members of the NVK, the reference group. Gender and the amount of residents were comparable between respondents and the reference group; however, there were more attending pediatricians, less retired pediatricians, and less pediatricians with a management function in our sample (Table 1). Table 2 shows the baseline characteristics divided in the subgroups resident, attending, retired, and non-practicing. 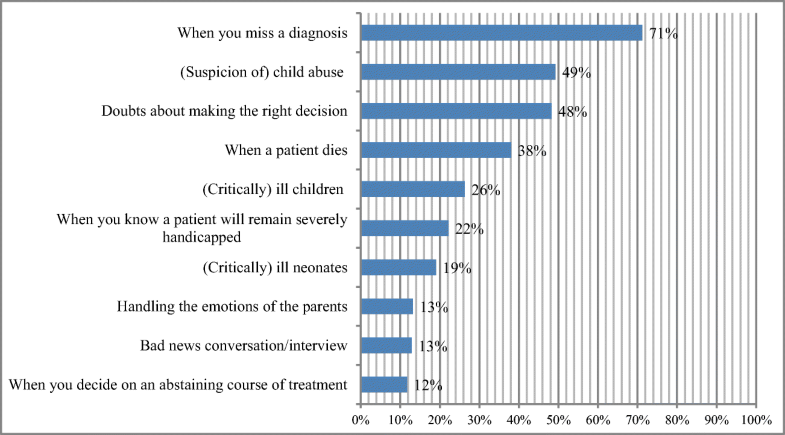 Selected quotes of the respondents are added in Table 3 to visualize the events they experience as adverse, divided in aggression by parents and death of a patient. Question 23: Can you briefly describe the adverse event(s)? The following events were experienced as high emotional impact stressors at work by the respondents (multiple answers possible): missing a diagnosis (71.2%, n = 292), suspicion of child abuse (49.3%, n = 202), doubts about making the right decision (48.3%, n = 198), death of a patient (38.0%, n = 156), and critically ill children (26.3%, n = 108; Fig. 2). Almost 80% (n = 325) of the respondents indicated that they actually perceived an event as an adverse event, of which 277 described this event. Aggressive behavior of parents towards the physician was most commonly named as an adverse event (42.5%, n = 118). Table 4 shows the outcomes of the TSQ. Among the respondents, 79.3% experienced an adverse event at work, of which 34.9% (n = 143) reported having experienced this event during their work more than 4 weeks ago. The mean score of the TSQ was significantly lower in the group of participants where a peer support protocol was present for adverse events (0.77 ± 1.06) compared to the group where no protocol was present or where it was not used (1.62 ± 2.10, P = 0.02). Outcomes of the HADS are shown in Table 4. Attending pediatricians have significantly more depressive symptoms according to the HADS-D compared to residents (P = 0.03). The most common coping strategies after adverse events were (multiple answers possible) seeking support from colleagues (86.1%, n = 353), seeking support from friends and family (73.2%, n = 300), seeking some other form of distraction (32.7%, n = 134), or doing sports (22.4%, n = 92). Respondents learned their coping strategies (multiple answers possible) during residency (58.3%, n = 239), as an attending (55.1%, n = 226), during clerkships (20.2%, n = 83), and 21.0% (n = 86) reported to having never learnt to cope with adverse events. Of the respondents, 41.0% (n = 168) has seriously considered quitting their job at some point in their career. Most common reasons for this were (multiple answers possible) disbalance between work and private life (75.0%, n = 126), high workload (68.5%, n = 115), disutility (working outside of working hours; 44.6%, n = 75), too much stress (38.7%, n = 65), and too much responsibility (37.5%, n = 63; Fig. 3). Furthermore, 6.6% (n = 27) considered quitting because of a complaint to the disciplinary board. Six percent (n = 26) of the respondents admitted that they were dealing with adverse events by drinking more alcohol and 1.2% (n = 5) by taking new medication. Professional psychological help was sought by 9.8% (n = 44) and 16.1% (n = 66) stifled emotions. After being exposed to a work-related adverse event, 18.5% (n = 76) of the respondents adjusted their work. Most common ways to do this were (multiple answers possible) performing more diagnostic tests (51.9%, n = 40), calling a colleague earlier (36.4%, n = 28), work less (33.8%, n = 26), and starting treatment faster (20.8%, n = 16). Over time, 40.5% (n = 166) of the respondents reported to have become more defensive. Of the respondents, 26.3% (n = 108) indicated that there was a protocol for support in the case of an adverse event in their current working environment, 34.2% indicated that there was no protocol, and the remainder did not know whether there was a protocol. Furthermore, 50.2% (n = 206) thought that a culture change is necessary concerning coping with adverse events. When asked what the standardized support system involved (multiple answers possible), respondents indicated that discussing the situation with the present team (71.2%, n = 292) and self-initiated peer support with direct colleagues (64.9%, n = 266) were used. Of the respondents, 16.3% (n = 67) indicated that there was no support system at all and 41.5% (n = 170) confided that there is not enough opportunity to discuss adverse events and express emotions. According to the respondents, the preferred form of support would be (multiple answers possible) discussing the situation with the present team (76.3%, n = 313), peer support from direct colleagues (72.0%, n = 295), and professionally organized peer support (43.2%, n = 178). Even though 28.5% (n = 117) would prefer to get help from a psychologist or coach, only 9.8% (n = 40) actually sought out this kind of help. The aim of this study was to examine work-related stressors and associated mental health problems in pediatricians as well as their ways of coping and received emotional support in their institute. First of all, among pediatricians, work-related stressors during their career were high. Suspicion of child abuse and critically ill children are two topics that distinguish pediatricians from other specialties and why this specific specialty can have high emotional burden. Notable is the high prevalence of aggressive behavior towards pediatricians, as stated in the quotes. Therefore, we think that it is necessary to not only develop a better support system after an adverse event but to also implement ways to teach pediatricians to cope with aggression. For example, certain training programs (conflict management and de-escalation (CMD)) focus on how to cope with aggression [19, 20]. Another stressor may be a complaint to the disciplinary board. This has a high impact on psychological well-being and is associated with defensive practice . More than half of the pediatricians who received a complaint at the disciplinary board seriously considered quitting their job. More work-years corresponded with a higher chance to receive a complaint. Whether the non-practicing group stopped working because of complaints at the disciplinary board cannot be answered because of the small numbers. The amount pediatricians who received a complaint to the disciplinary board is low compared to gynecologists . The point prevalence of PTSD in The Netherlands is 1.3%, making that the point prevalence of work-related PTSD is expected to be even lower . In our questionnaire, when pediatricians experienced a traumatic event, we found a high point prevalence of symptoms indicative of work-related PTSD (2.2%). However, compared to the study of Ruitenburg et al., who found a prevalence of PTSD complaints of 15% in hospital physicians, the percentage we found seems low. Nonetheless, the study of Ruitenburg et al. used a much lower threshold than is normally used to assess PTSD complaints and does not use Criterion A . Furthermore, we found more respondents with depressive and anxiety symptoms as compared to 1-year prevalences found in the general Dutch high-income population . After experiencing an adverse event, a little over a quarter of all respondents indicated that there was a protocol regarding adverse events, but over half of the respondents do think a culture change is needed. Therefore, pediatricians have the need for a better support system. When more than half of the pediatricians perceive that care surrounding adverse events is not sufficient, this could lead to unnecessary stress. Physicians might experience more barriers than non-physicians to seek out professional help for mental health problems due to their fear of losing their license, denial of problems, and embarrassment . When physicians are unfit, this may have a negative impact on their practice , whereas occupational well-being can positively contribute to patient satisfaction and the quality of interpersonal aspects of care . In this questionnaire, coping strategies applied by the pediatricians were similar to coping strategies of gynecologists in the study by Baas et al. . Almost 20% of the respondents adjusted their job and 40% seriously considered quitting their job completely. This is consistent with the findings of Hawkins et al. , who also found that physicians reduce work hours, retire, or quit medicine altogether because of a high work strain. Reported alcohol use to cope with adverse events seems to be quite low in our respondents with only 6%, especially since Hyman et al. found percentages of 6% (daily use) up to 25% (occasional use) of substances . Thus far, little research has been done on this topic, specifically concerning mental health problems in relation to institutional or peer support. This study, which included validated questionnaires, allowed for detailed data collection. Allowing respondents to fill out examples of their experiences gives further insight in the way they experience their problems. Limitations of the study are the response rate, with 18.9% lower than the average e-mail response rate of 25–30% . Reasons for the low response rate could not only be the heavy workload of pediatricians but also the fact that the questionnaire was spread through a non-personal email account from the NVK, which people may not always read. With 410 completed questionnaires, however, we have a representative cohort comparable to the reference group. Another limitation is the risk of participation bias, because as with any questionnaire, pediatricians who are involved with this topic are more likely to participate. Concerning depression and anxiety, screening rates are generally an overestimation, especially when using self-report questionnaires. However, these are point prevalences, so when compared to 12-month prevalences, it can be an underestimation. Furthermore, depression and anxiety are not merely work-related. In conclusion, work-related stressors in Dutch pediatricians are high and can subsequently lead to posttraumatic stress disorder. Parental aggression towards pediatricians seems to be a common problem, something that should be addressed, for example with CMD training programs . In this study, the amount of pediatricians with PTSD complaints was higher compared to prevalences found in the general population and the same applies to depression and anxiety symptoms. There is no national standardized support after adverse events for pediatricians, while other occupations where there is an occupational hazard do have such support (e.g., in the police, military, firefighters). 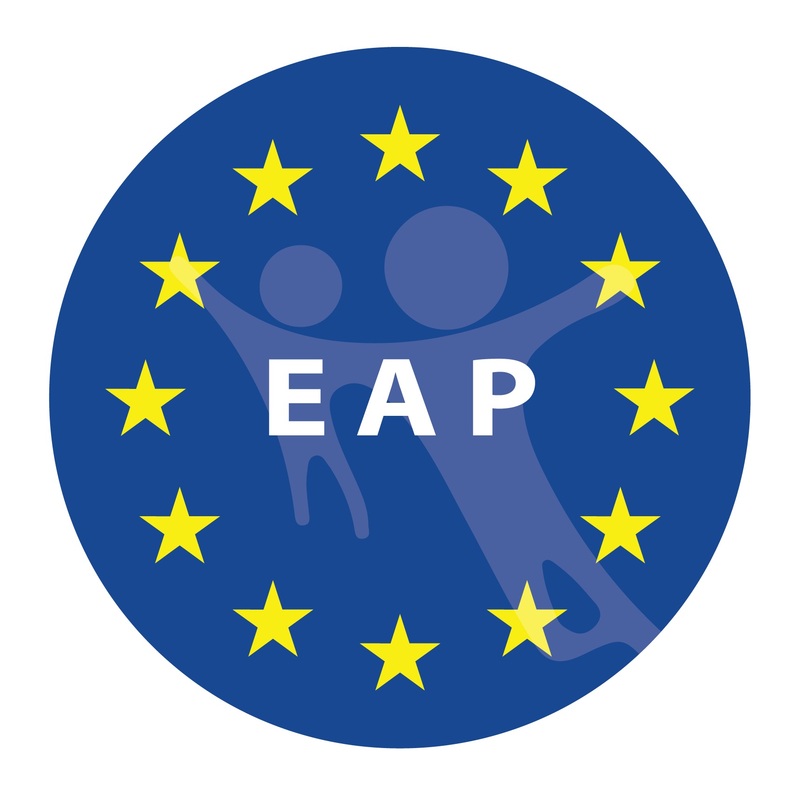 It is advised that evidence-based support (e.g., peer support) after adverse events is protocolled and education on coping strategies is implemented, to improve mental well-being of pediatricians. We would like to thank all members of the Pediatric Association of The Netherlands (NVK) who participated in this questionnaire for their interest in this topic. Furthermore, we would like to thank the Pediatric Association of The Netherlands (NVK) for their help. Lastly, we would like to thank Eva Jacobs (EJ) for categorizing all answers. Dr. M.G. van Pampus, K.W.F. Scheepstra and M.E. van Steijn conceptualized and designed the study, drafted the initial manuscript and reviewed and revised the manuscript. G. Yasar collected data, carried out the initial analysis and reviewed and revised the manuscript. Prof. dr. M.C. de Vries and prof. dr. Olff reviewed and revised the manuscript for important intellectual content. Are you a member of the Dutch Society of Pediatricians (NVK)? How many years have you been working in the pediatrics field as a physician (including as intern)? At the moment, are you working in a general hospital or in an academic referral center? At which department do you work the most (if you are not practicing anymore, fill in where you used to work)? What do you consider to be an adverse event on the work-floor (more than one answer possible)? How do you cope with adverse events on the work-floor (more than one answer possible)? Have you changed your working-conditions (e.g., less shifts, more diagnostic tests) after experiencing a patient-related adverse event? What did you change (more than one answer possible)? Sometimes people experience traumatic events, such as live-threatening situations as a cause of a natural disaster, high-impact trauma or fire; being attacked or raped; witness a murder, death or hear find out someone close to them experienced something terrible. As a physician, one can experience such events in patient-care: critical illness or death of a patients, severe injury, as well as violent behavior from a patient or their family. Have you ever, during your work AS A PHYSICIAN experienced such (adverse) events/incidents? Can you briefly describe the adverse event(s)? Did (some part of) this/these adverse event(s) take place more than 4 weeks ago? Upsetting dreams about the event. Acting or feeling as though the event were happening again. Feeling upset by reminders of the event. Bodily reactions (such as fast heartbeat, stomach churning, sweatiness, dizziness) when reminded of the event. Irritability of outbursts of anger. Heightened awareness of potential danger to yourself and others. Being jumpy or being startled at something unexpected. It might be that you did not experience the reactions and emotions as described on the previous pages, but that you recognize them from a past period in your life. For example, having disturbing thoughts or dreams, reliving the event, and getting upset. Do you recognize these reactions? Which of these reactions do you recognize (more than one answer possible)? How long did these symptoms last? Have you ever been diagnosed with PTSD (posttraumatic stress-disorder)? Did you ever face a complaint at the disciplinary board? *Numbers before answers do not reflect the score corresponding with the answer.